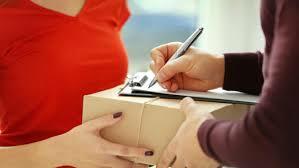 What to look out when implementing a delivery software for startups? The delivery and logistics industry is expanding with several start ups that come up with innovative technologies and revolutionary approaches to the logistics arena. When talking about technologies in the logistics space, managing inventories and tracking deliveries have seen a new face of operation in the recent times with inventive web and mobile applications. When all start-ups in the sector aim to curtail the problems encircling transportation of goods, logistics handling, order tracking and data analytics, choosing the right delivery software holds a leading role. Considering the inability to raise huge funds while initially setting up the company, going for a reasonably priced software can be of a tremendous aid and comfort. Eliminating the need to raise an initial ransom amount, there are applications that extend the possibility of monthly payments where you get to modify the software as and when you need and at the same time does not make you feel compelled to make long-term commitments even before the venture begins. Implementing the software should be the least of your concerns when you have the minimal time to spare on it. An application developed with a well-thought out design will lessen the time, money and effort in providing aggressive training to enable its users understand and operate the delivery software. A user-friendly interface will explain itself and lessen your burden on familiarizing your team on the software. The necessity of a fully automated and adaptive software cannot be neglected while erecting a delivery and logistics space. You can reduce your staffing hours and focus more on your business once a reliable technology takes the responsibility of your operations promptly and accurately. Automating all facets of delivery, from accepting orders to generating reports and overall statistical summary, paves way for exceptional delivery management. With improved communication and reporting accuracy, an automated delivery software facilitates speedy service and instant transactions. Imagine if your delivery business could run on its own and you are frequently and automatically updated with business insights reports in real time. A delivery management software can help you increase your business efficiencies when integrated with real-time tracking and alerts. You can adjust and manage the delivery to your customers analyzing the reports and consequently earn enhanced customer satisfaction. If your aim is to initiate an improved level of service reducing customer complaints and maximizing transparency within the process, you should look for a delivery software that satisfies the above specifications.